The 2018 Undergraduate Research Program (URP) culminated in an end-of-the-summer symposium on August 9–10, with students presenting the results of their intensive 10-week research projects. 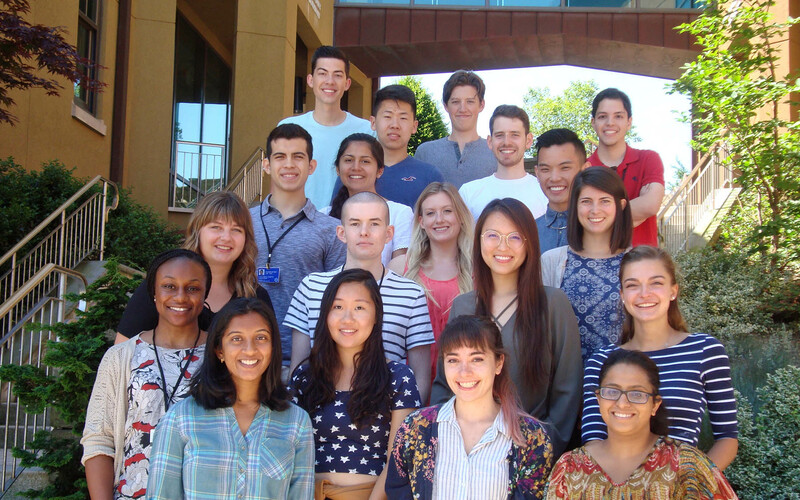 Twenty students from universities all around the globe worked in the many labs across campus under the mentorship of Cold Spring Harbor Laboratory (CSHL) researchers in the fields of cancer research, genomics, plant biology, neuroscience, and quantitative biology. These students do more than learn cutting-edge methods and technologies; they use these tools to advance projects underway in CSHL labs. For example, undergraduate student Matheo Morales, who worked in CSHL Professor and Director of Research David Spector’s lab, studied a new long-coding link RNA and its function. Spector is a leading researcher in the field of non-coding RNA, showing how misregulation of non-coding RNAs contributes to human diseases such as cancer.